The idea of turning old offshore drilling rigs into artificial reefs has been floating around for a while, and US Geological Survey scientists recently reported that there’s no sign that fish living near the rigs are contaminated by oil from the drilling operations. 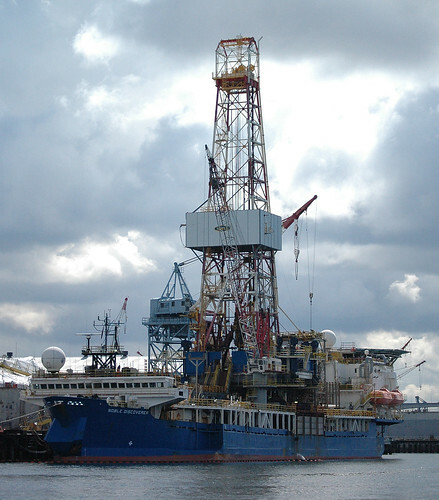 To help provide some baseline data for “rigs-to-reef” proposals in California, the agency compared contaminant levels in fish living around oil platforms with fish from nearby natural sites off the coast of California in the Santa Barbara Channel and the San Pedro Basin. The new and recent USGS reports are available online. Some of the most important contaminants related to oil operations are polycyclic aromatic hydrocarbons (PAHs). Several PAHs are probable human carcinogens and many are toxic to fish and other aquatic life. Scientists were able to develop a new, more accurate method of sampling small traces of PAHs that may have been ingested and broken down within the fish. Samples were taken from species thought to be most sensitive to PAH contamination. The tested species included Pacific sanddab, kelp rockfish and kelp bass, all targeted by fishermen. PAH concentrations were either very low or undetectable in all fish sampled for this study. The underwater portion of many offshore oil and gas platforms often provides habitat to a large number of fish and invertebrates. Under the rigs-to-reef management option, resource managers would maintain some of the submerged structure to function as an artificial reef after oil and gas production has ended.